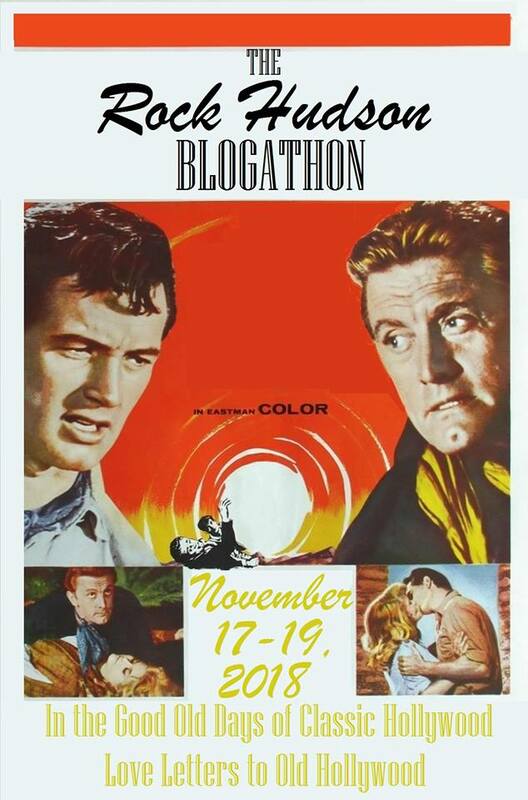 This is my entry in the Rock Hudson Blogathon hosted by In the Good Old Days of Classic Hollywood and Love Letters to Old Hollywood. The Civil war has ended. 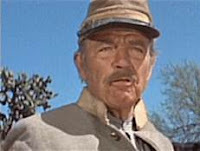 Unfortunately for Col. John Henry Thomas (John Wayne), the news comes a couple of days late. His cadre of Union soldiers has just demolished another cadre of Confederate soldiers. Thomas is distraught over the needless slaughter of men who should have lived to an older age. Thomas and a group of loyal companions decide to round up a herd of wild stallions, the goal being to sell the herd to the States. Thomas is joined by a cast of soldiers that include many names of which you have probably heard; Roman Gabriel as Blue Boy, the adopted Indian son of Thomas; Ben Johnson, a frequent guest star in Wayne movies, as Shortgrub, Thomas's second-hand man; Dub Taylor as the cook McCartney (That's MR. McCartney to you...). The men round up horses and prepare to sell them. But the people who represent the United States are trying to back out of the deal. They are only prepared to take 500 of the 3000 horses Thomas and his crew have captured. They also try to weasel out on the agreed upon price of $35 a head, instead insisting on $25 a head. But Thomas insists it's all or nothing, and at the previously agreed upon price to boot. He instead decides to take a counter offer from representatives of Emperor Maximillian in Mexico, and heads to Mexico with his herd. Meanwhile, Col. James Langdon (Rock Hudson), of the former Confederate States has decided there is no use in living in a country that doesn't meet his standards and decides to pack up his former crew and their families and go to Mexico themselves, to offer their services to Emperor Maximillian. 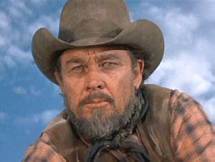 He has with him a cast of his own famous names like Jan-Michael Vincent as Lt. Bubba Wilkes, the potential husband of his daughter; Merlin Olsen as Little George, his burly blacksmith; and Bruce Cabot as his First Sergeant, Newby. Eventually the two groups do hook up. At first there is some animosity after Langdon learns that Thomas was on the other side. 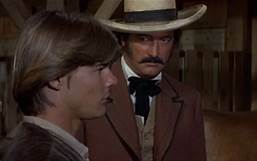 But the two become somewhat partners as the former Union soldiers band together to help the former Confederates defend themselves against a band of Mexican banditos. Later, Langdon invites Thomas and his buddies to a 4th of July celebration. Which ultimately breaks out in an old-fashioned, all-out (but good natured) brawl. But all is not well in Mexico. The Juaristas (the rebels who oppose Maximillan and his French rule) are on the rampage, and before this movie is over, both the Thomas contingent and the Langdon forces are going to have to come to terms that Maximillan's days are numbered as ruler of Mexico. There is of course a rousing ending, and both forces do end up friends t the end. Butwhat else would you expect from a Wayne movie? There are a whole host of other recognizable faces in this movie other than those mentioned above. 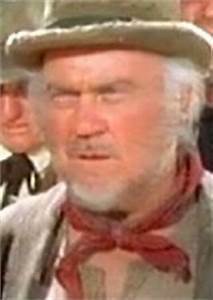 Lee Meriwether plays Langdon's wife, but you will (or should) al;so be able to spot Royal Dano, John Agar, Richard Mulligan, Paul Fix and a host of other character actors who showed up in dozens of TV and movie westerns (and other genres of film). See if you can count them all. Time to saddle up and head back to the ranch. Drive safely, folks. And watch out for banditos and rebels on the way home. Wow I totally forgot about this movie until now! And I love that one sheet it is very cool. This Rock Hudson Blogathon has me filling up a list of movies to track down and rewatch. I've only seen Rock in a few movies. I was pretty thrilled by this one. He's a southern gentlemen through and through. Thanks for reading. I have never even heard of this movie, but I really enjoyed reading your review, especially your dry humour. 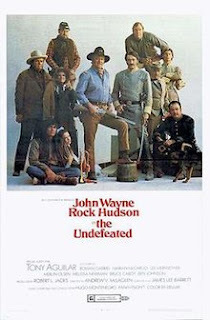 It is a comfort to watch all the familiar faces in this movie and the teaming of Duke and Rock works really well. The 60's has some of the best Wayne movies, and some of the best pairings with other big stars. Thanks for reading. Not a favorite of mine, but one I pull out from time to time. Nice run-down! I get so thrilled by John Wayne movies I'll watch any one dozens of times. Thanks for reading. I'll admit I'm behind on John Wayne's filmography, but I always enjoy his performances and seeing him with Rock Hudson sounds irresistible. Plus it has Lee Meriwether and Richard Mulligan! 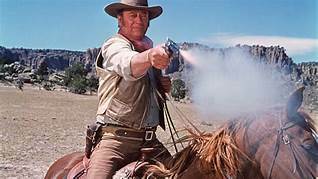 I haven't seen all of the John Wayne movies I have, yet. But everyone of the 60's output is superb in my opinion. Thanks for reading.